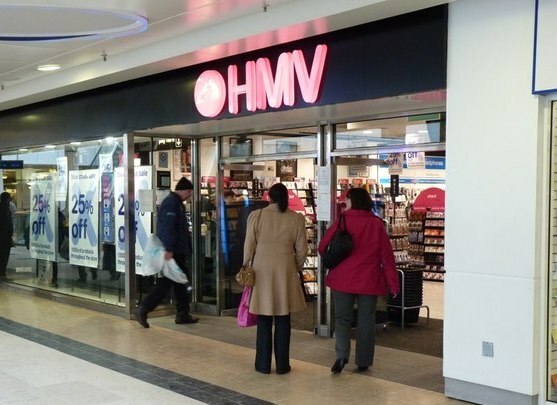 Canadian music company Sunrise Records & Entertainment has purchased HMV "after owner Doug Putman put in a rescue bid to save the retailer, with the books side of the business set to continue," the Bookseller reported. Sunrise will acquire 100 stores across the U.K., though 27 stores are not part of the deal and will close effective immediately. Administrators from KPMG were appointed over the holidays to help the company find a buyer or wind up the business, the Bookseller wrote, adding that "the plan is to continue maintaining the books side of the business, and Putman is speaking to suppliers to this effect." In 2017, he bought HMV's Canadian business and has been president of Sunrise Records since 2014. "We know the physical media business is here to stay and we greatly appreciate all the support from the suppliers, landlords, employees and most importantly our customers," Putnam said. Booksellers experienced with operating bookstores and bars gathered at Winter Institute 14 in Albuquerque, N.Mex., two weeks ago to share their insights on running two very different businesses under one roof. Panelists were Donna Paz Kaufman, co-owner of Story & Song Bookstore Bistro in Fernandina Beach, Fla.; Emma Ramadan, co-owner of Riffraff Bookstore and Bar in Providence, R.I.; and Aaron Curtis, who has worked at several Books & Books locations in South Florida since 2004. Nicole Sullivan, owner of BookBar in Denver, Colo., moderated the discussion. At Story & Song, Donna Paz Kaufman and her husband operate a bookstore, cafe and bar with a single, unified staff. Aside from those doing food prep in the back, staff members do everything from handselling and shelving to taking orders and running food, and Kaufman explained that that was a major focus of hers going into opening the store. She also noted that in Florida, getting a liquor license was comparatively easy--"you pay your $400, you get your license"--and said that in terms of pricing, you generally want one glass of wine to pay for an entire bottle, with a bottle good for around four glasses of wine. Kaufman offers some specials, though they run a "neighbor's night" instead of a happy hour and during events offer glasses of wine for $5. Kaufman said that a major difference between food and beverage service and selling books is having to deal with things that go bad. Every day she logs what bottles were opened and when, what was poured out and what was wasted; for back-end inventory management she uses Anthology for the books and SimpleOrder for food and beverages. The store has integrated sales, so customers order food and beverages and pay books at the same register. Ramadan explained that Riffraff is less of a bookstore-bar and more of a bookstore and bar sharing the same storefront. The space is divided in half between the two, though they are connected. The bar is full service, offering beer, wine, spirits and cocktails, along with coffee and tea, but the only food is light bar snacks. The bookstore side of the business is relatively small, with an inventory of 5,000 titles, and Ramadan noted that they get many customers who come only for the bar. She added that the bar serves as the events space, which can work great but also means that a poorly attended event results in a bad bar night, which the store can't afford; she and her co-owner have learned to be very careful about scheduling only events that they know will be well attended. While Ramadan and her co-owner both had bookselling experience prior to opening Riffraff, they knew little about owning or operating a bar, so before they opened their doors, they hired two very experienced bartenders to guide them through the process. They made sure the bar was set up correctly, had the right sorts of sinks and fixtures, etc. Initially, the bar staff and bookstore staff were entirely separate, but recently the bar staff have begun taking an increased interest in the book side of the business. Ramadan acknowledged that although this has helped the store feel more cohesive, it does significantly complicate payroll once someone works in both the bar and bookstore. She added that they use Basil Bookseller Software for inventory and Square for ringing things up in both the bookstore and bar. Curtis reported that three of the nine Books & Books locations mix food, alcohol and books in some capacity. At the Coral Gables flagship store, which Curtis described as "book-driven," there is a kitchen serving lighter fare with beer and wine available. The Miami Beach store is evenly split between the full-service cafe and the bookstore, while the Books & Books location at the Adrienne Arsht Center for the Performing Arts has a full liquor license and its book selection is more or less supplementary to the bar. At each location, food and beverage sales are done separately from book sales, and the staff is separate. Waterstones "will split its centralized buying function into two roles, aimed at resolving the disconnect between what is ordered by the chain and what is then sold through," the Bookseller reported, adding that the company's latest results showed the British bookstore chain "struggled for growth in the year to end April 2018, with the management team said to be distracted by the sale of the business." The business was acquired from the Russian investor Alexander Mamut by the U.S. private equity group Elliott immediately after the financial year closed. Managing director James Daunt described it as "a steady as she goes year. I spent more time on the sale than I spent selling books or putting in the new buying processes. I would hope that this year we will step up from that. But it is what we are, a pretty steady business, running itself fairly sensibly in quite trying times." 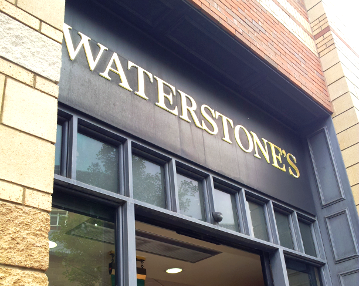 Under the proposed buying changes, "an initial sub would be agreed earlier in the publication process by a Waterstones' buyer, but a new category manager would then manage the roll-out of the books within the estate," the Bookseller wrote. "The category manager would be able to increase the level of stock made available to individual bookstores, but also make sure the merchandising matched the order levels." Currently, publishers meet with many different buyers at Waterstones, depending on the sectors they publish into, and buying decisions are delayed until all of the buyers meet for a monthly review of these titles. 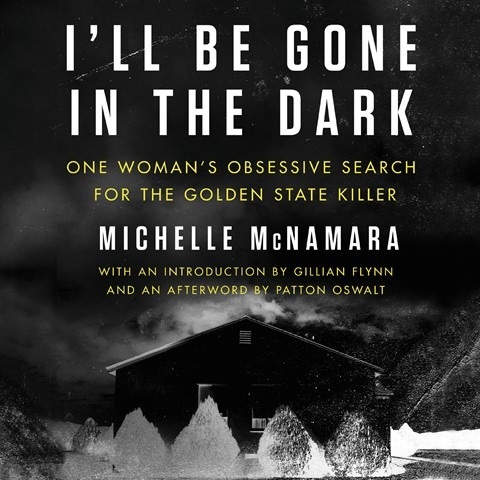 "I am telling publishers this is coming down the tracks. But this will be an evolutionary change, not a Big Bang," Daunt said. "We will buy titles in a much more centralized, focused and holistic way.... So there won't be a case anymore of the history buyer not knowing what the biography buyer has bought. 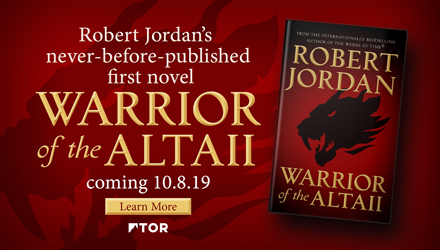 But we will no longer be ordering it six weeks ahead but 12-14 weeks ahead, so publishers will have greater certainty earlier." Noting that the decision-making process would be streamlined, he said, "We have to have the ability to correct ourselves upwards [by talking with publishers]. We won't go down from the initial order. We need to react much more quickly, and respond if there's a buzz around a particular title." 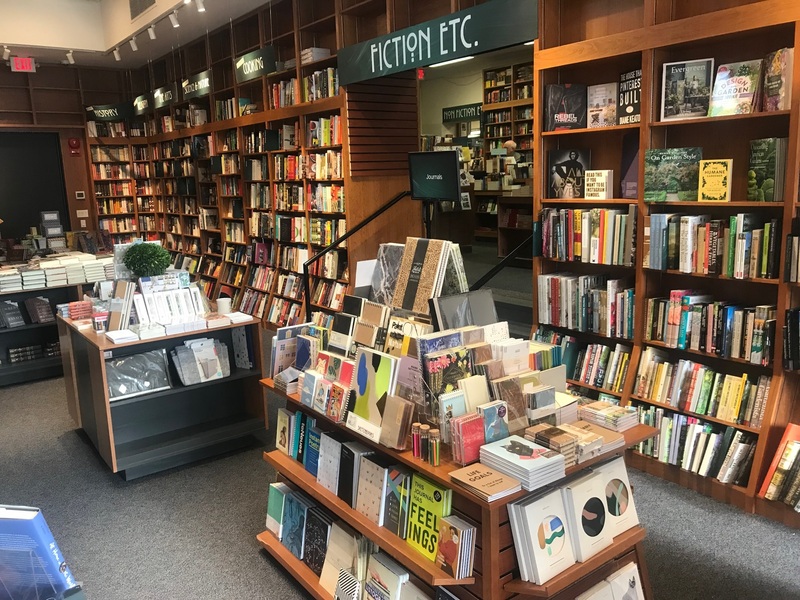 He remains committed to "local replenishment," with individual stores able to re-order titles from the hub or order titles that have not gone through the centralized function, but is wary of bookshops being overstocked and returns still too high, if much reduced. As a result of the changes, Daunt is "expecting there will be more time for us to actually read the books. We are in the business of trying to run the place better, not worse. No one thinks we are trying to sell fewer books, but equally very few think we couldn't do it better." Jan Wahl, "whose award-winning books for children were read and read again, silently and aloud, starting with his first in 1964, Pleasant Fieldmouse," died January 29, the Toledo Blade reported. He was 87. That first published work featured illustrations by Maurice Sendak, and was followed by more than 100 books, including works illustrated by Norman Rockwell, Edward Gorey, Lee Lorenz and Wil Clay. "For me, when reading his work, his words also painted an illustration of the book itself," said Benjamin Sapp, director of the Mazza Museum at the University of Findlay, which features art from children's picture books. "The idea that he was in our own state of Ohio--just a wealth of knowledge and information. I just love his body of work and the creation he shared with those who love children's literature." Wahl's most recent title, Hedy and Her Amazing Invention, illustrated by Morgana Wallace, was released yesterday. He had been scheduled to read from the work on March 2 at the Toledo Museum of Art. The program will continue, but "will become a celebration of his writing, and especially his new book," said Scott Boberg, the museum's manager of programs. "His books are amazing, and there are people around the world who have really enjoyed and loved his writing and enjoyed the work of artists who illustrated his books.... While it's sad news he is no longer with us, we want to celebrate what he has given to the world." Wahl was recipient of the Redbook Award, Parents' Choice Literary Award, an Ohioana Book Award, among other honors. His other books include Humphrey's Bear, illustrated by William Joyce; How the Children Stopped the Wars, illustrated by Maureen O'Keefe; I Met a Dinosaur, illustrated by Chris Sheban; and The Art Collector, illustrated by Rosalinde Bonnet. Noting that his latest book took three years to write, Dahl's friend Mary Dawson said, "He thought every word was important." Author Chris Bohjalian visited the Doylestown Bookshop, Doylestown, Pa., on January 9 as part of his book tour for the paperback release of The Flight Attendant (Vintage). Some 170 fans attended the sold-out event and enjoyed a spirited reading and q&a with the author, which was followed by a meet & greet and book signing. "Polar vortex getting you down? Stop in for wonderful warmth and some great reads!" 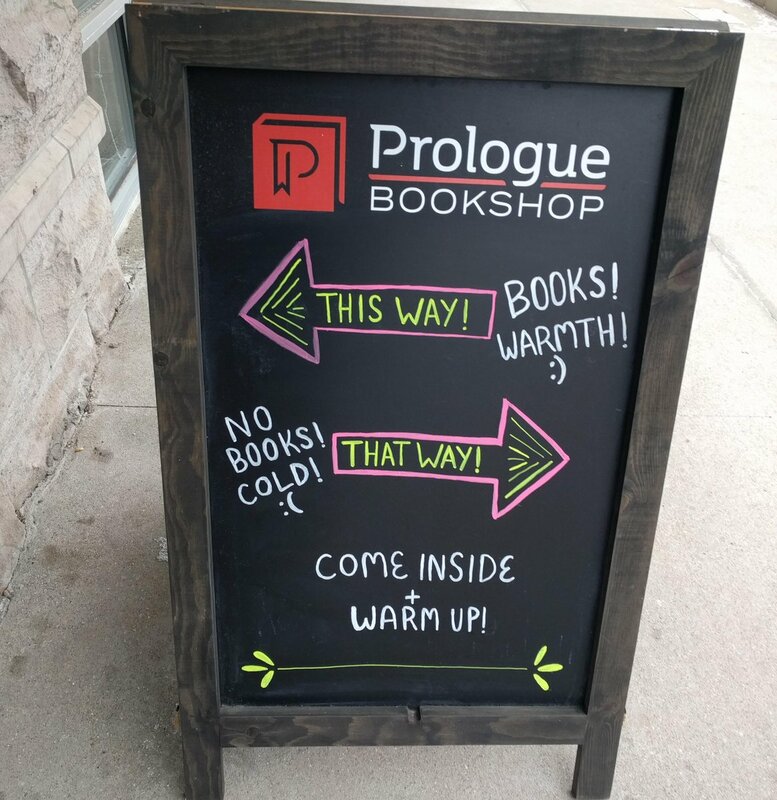 Prologue Bookshop, Columbus, Ohio, tweeted in sharing a photo of its sidewalk chalkboard, which reads: "This Way: Books! Warmth! That Way: No Books! Cold! Come Inside & Warm Up!" Victoria Verhowsky has joined DK as adult marketing manager. 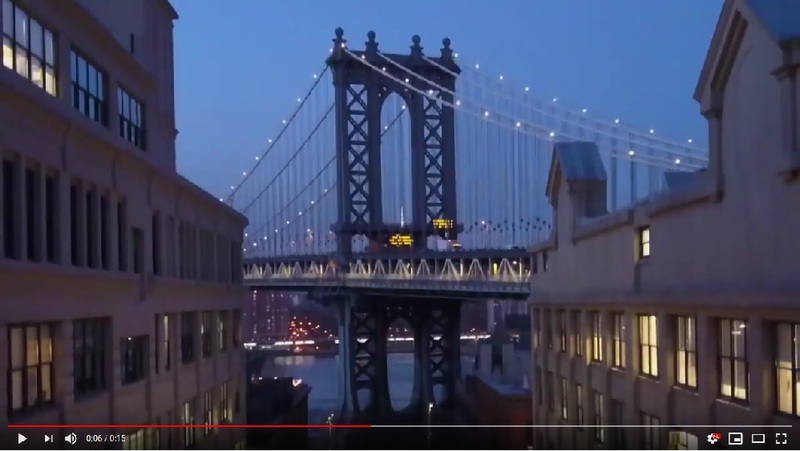 She was formerly a marketing manager at Rutgers University Press. Connections in Death: An Eve Dallas Novel by J.D. Robb (St. Martin's Press). Daily Show: Dorothy Butler Gilliam, author of Trailblazer: A Pioneering Journalist's Fight to Make the Media Look More Like America (Center Street, $27, 9781546083443). Fox 2000 and the team behind the film The Hate U Give are reuniting with Angie Thomas for an adaptation of her new novel, On the Come Up, Deadline reported. George Tillman Jr. is directing for Temple Hill and State Street Pictures. Thomas is producing the movie with Marty Bowen, Isaac Klausner and John Fischer of Temple Hill alongside Robert Teitel, Tillman and Jay Marcus from State Street. Elizabeth Gabler, Erin Siminoff and Molly Saffron will oversee production on behalf of Fox. Each of the shortlisted authors will receive $10,000. The winner of the $50,000 prize will be announced at a ceremony in Abu Dhabi on April 23 on the eve of the Abu Dhabi International Book Fair. The two most popular books in January at Reading Group Choices were The Tattooist of Auschwitz by Heather Morris (Harper) and Women Rowing North by Mary Pipher (Bloomsbury). 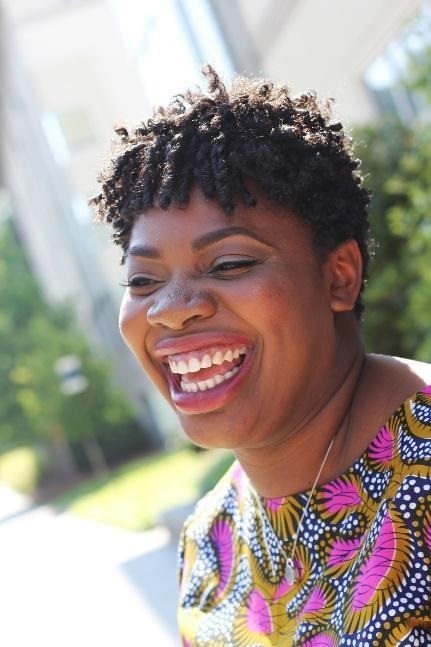 Breanna J. McDaniel is earning her Ph.D. at Cambridge University. Hands Up! 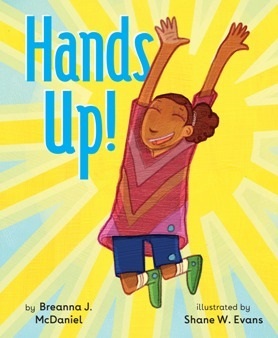 (Dial Books for Young Readers, January 22, 2019), illustrated by Shane Evans, is her first picture book. A nightstand is a luxury! My books are stacked next to my bed and, until I trip and fall on my way to the bathroom late one night, that's where they'll stay. I'm looking forward to digging into Black Girl Baking: Wholesome Recipes Inspired by a Soulful Upbringing by Jerrelle Guy. I'm trying to ease my way into being a vegetarian, and baking seemed like a good way to start. I'm also reading Brer Rabbit Retold by Arthur Flowers to find my way back into African American folklore. The first book I ever owned is one of my favorites: The Well by Mildred D. Taylor. A story about grace and community, it never left my heart. Our elementary school librarian, Ms. Sally Benoy, held a book club on Tuesday mornings and we got to keep the books we read. The day I took mine home was glorious--I hadn't just been given the book, I had earned it by reading it and talking about it. My very own, earned book. Also, The People Could Fly by Virginia Hamilton still gives me chills and makes me cry. 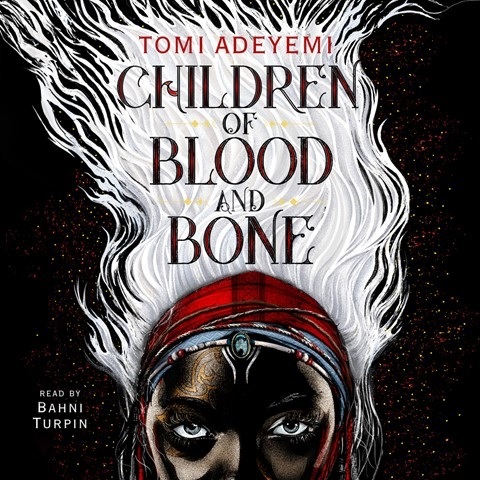 The illustrations are flawless and haunting and the stories thrilled me. Roll of Thunder, Hear My Cry by Mildred D. Taylor. 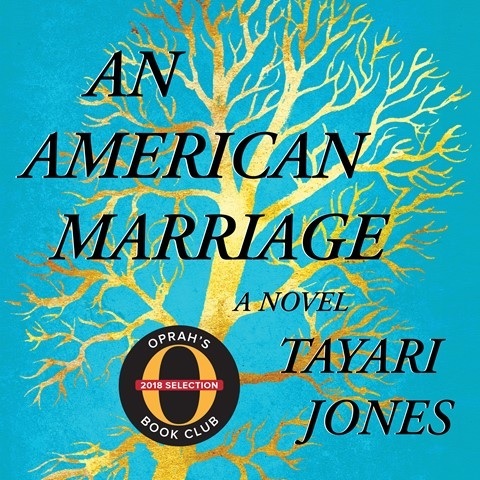 Taylor's books were the first time I started to see and understand the world around me and to reckon with the social restrictions of growing up in the South. This book will never not be relevant. Piecing Me Together by Renée Watson. Renée Watson is a prototype of what a contemporary novelist should be. The way her stories require your complete investment in her characters is awe-inspiring. Unpublished works by Lucille Clifton. Her books are treasures, but I also admire her journey. The archives at Emory University in Atlanta have some of her unpublished work as well as some of the rejection letters that she received for her post-Civil Rights Movement writing, and they are eye-opening. To Everything There Is a Season by Leo & Diane Dillon. I always thought that the Dillons' illustrations were a little out of reach for me--their beauty is so otherworldly--but after I saw "A Marriage of Artistry: Leo and Diane Dillon," an exhibition at the Eric Carle Museum in Amherst, Mass., I returned to the book. Returning, I found grace and connection in the way these familiar words come together with their illustrations. I started reading The Astonishing Life of Octavian Nothing by M.T. Anderson but the dissection of Cassiopeia felt like voyeurism. I couldn't finish it. Dragons in a Bag by Zetta Elliott. I was reading it on a short flight and I kept murmuring, "Wow, just wow!" I love that Zetta addresses intergenerational collaboration and gentrification in a world where magic is transformational. She doesn't ignore our world's social issues; instead, she folds them into her fantasy. 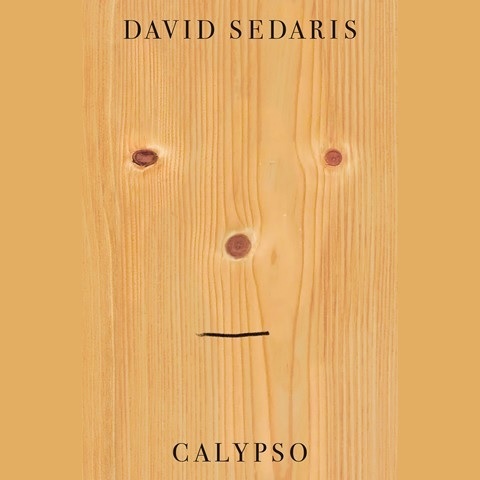 My book budget is teeny-tiny right now, so I can't do too much shopping based on the cover. BUT I did take one look at We Don't Eat Our Classmates by Ryan T. Higgins and it went right on the list of books to buy. Probably Flyy Girl by Omar Tyree or The Coldest Winter Ever by Sister Souljah. I haven't read them in years so I can't quite remember why I was hiding them but I know we passed those books around at school. We tore the covers off so that teachers and parents wouldn't know what we were reading. Real talk, don't tell my mom! Sula by Toni Morrison. I read it when I was younger and Nel's grief about Sula overwhelmed me. I reread it last year and found myself craving friendships that can survive decades of being together and apart. This book beautifully pulls together the complexity of finding your people and struggling through relationships you know you cannot live without, healthy or not. Because some of the tears I cry today are the same ones as Cassie's. Victor LaValle's Destroyer series. I read the first book once, then I read it two more times in a row. Then, I found the rest of the series and I wish I could start all over again. When Maya says that she wants to see her grandma, Mother explains "Grandma lives many thousands of miles away." But, a few weeks later, while walking home from school, Mother says she has a surprise for Maya, and it's even "more special" than cupcakes. 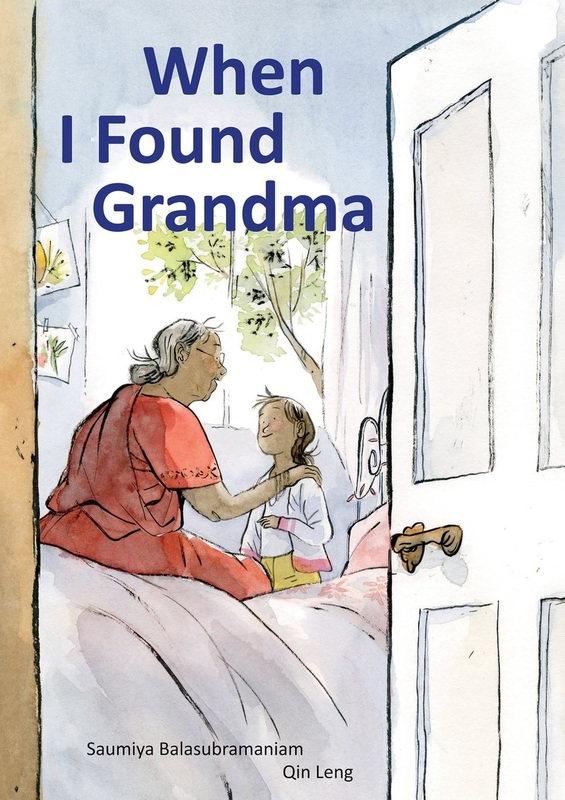 Inside, Maya finds her "special surprise": Grandma! Maya learns right away that Grandma does things differently. She wears a "crimson sari" and offers "homemade sweets"--which Maya quickly decides she doesn't like as much as cupcakes. The next day at dismissal time, instead of waiting outside Maya's classroom with the rest of the parents and grandparents, Maya's grandma strides right in, wearing her "fancy clothes" and jingling her bangles. Not only does she draw attention to herself, she draws embarrassing attention to Maya, calling her by the wrong name (Mayalakshmi). For dinner, Grandma cooks "a meal with rice and cashews," and Maya pushes the nuts away. Worst of all, the next morning, instead of taking the exciting trip Father had promised to an island with a carousel, Mother says the family will pray at a temple for Holi. Maya "wishe[s] Grandma had never come." Recognizing how upset her granddaughter is, Grandma offers to pray on the island with the carousel--it doesn't matter where she prays, she says, because "strong prayers come from honest hearts." Mother packs cupcakes and Grandma leaves her sari at home, borrowing pants and shoes from Mother; she even buys a bright red-and-blue, "all-American" baseball cap along the way. When they get to the island, Maya races ahead to the carousel "to show Grandma her favorite pony." But when she gets there, Grandma--and the rest of her family--are nowhere in sight. As Maya closes her eyes and tries to pray "honestly," just like Grandma said, she hears a familiar "loud voice" and sees Grandma's "red-and-blue cap bob[bing] in the distance, high over people's heads." That night, when Grandma makes her rice and cashew dinner again, Maya tries the nuts and decides they aren't so bad after all. Shelf Talker: Maya is eager to see Grandma, who lives far away, but the visit gets off to a difficult start when Grandma dresses, cooks and acts differently than Maya expects.